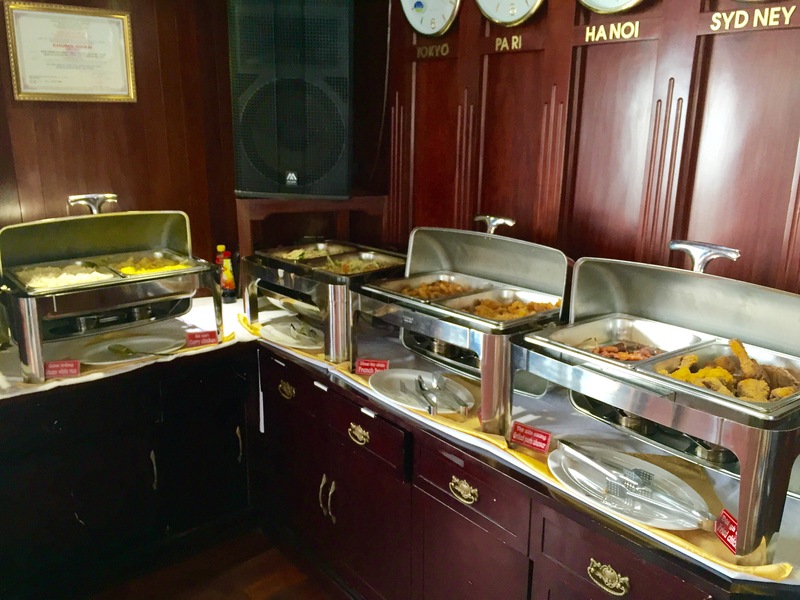 Our last stop on our tour of Vietnam was Ha Long Bay. It is one of the most well known places in Vietnam for it’s beauty. 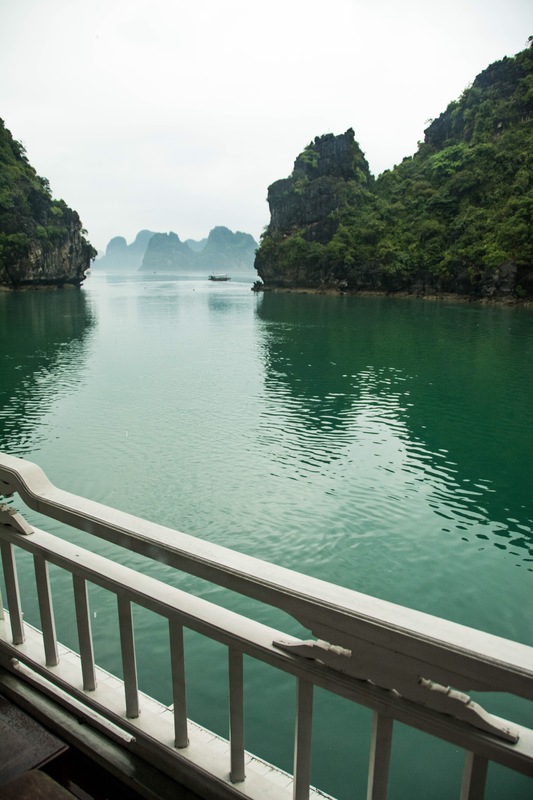 Ha Long Bay has been certified as a UNESCO World Heritage site and is located in the North Eastern Vietnam. 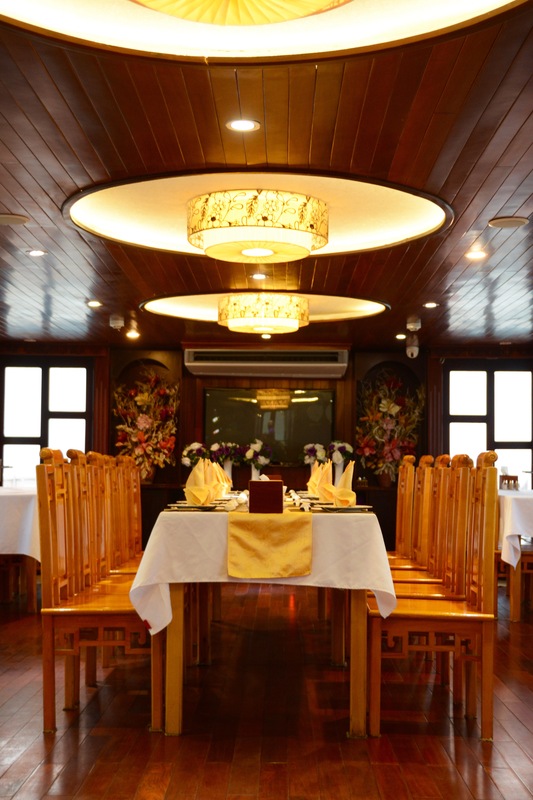 Ha Long means descending dragon in Vietnamese. 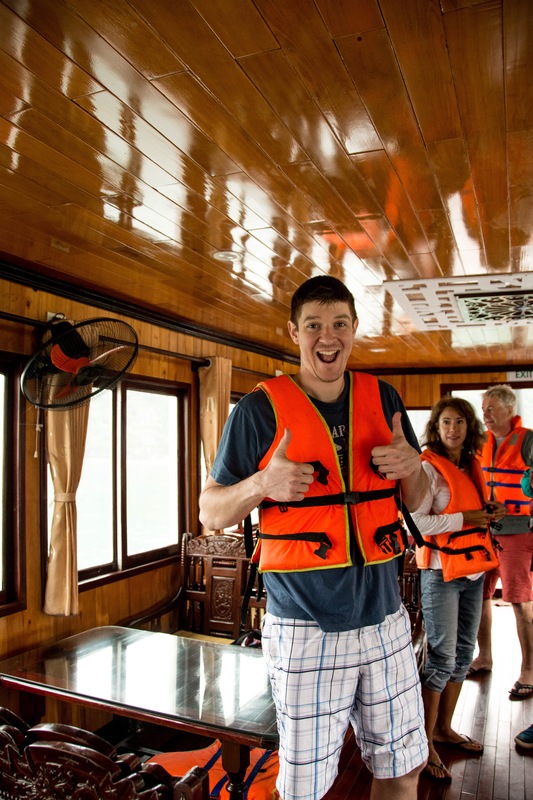 We chose to do a 3 day, 2 night cruise in Ha Long Bay. As the trip there involves a 4 hour bus ride each way, we felt that 2 day/1 night would be too much time traveling on a bus to spend such a short time there. We were picked up by the cruise operators: Viola Cruise and rode along with 11 people (the bus capacity is 28), so we felt very fortunate we could stretch out. The seats on the bus are designed for very small tushies, let’s put it that way. Our tour guide Hai, told us that Ha Long Bay has 128 total tour operators (the government limits the number of companies to be able to better manage the area) and that our cruise ship would be traveling to Ha Long Bay and Bái Tử Long bay (which is a less frequented route and would be quieter). 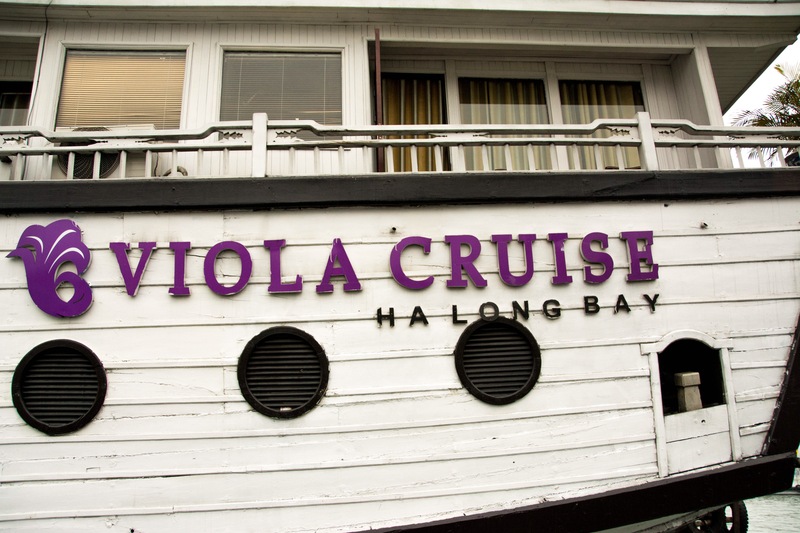 Once we arrived to the dock, we were taken by a small tender and shuttled to the Viola cruise ship. 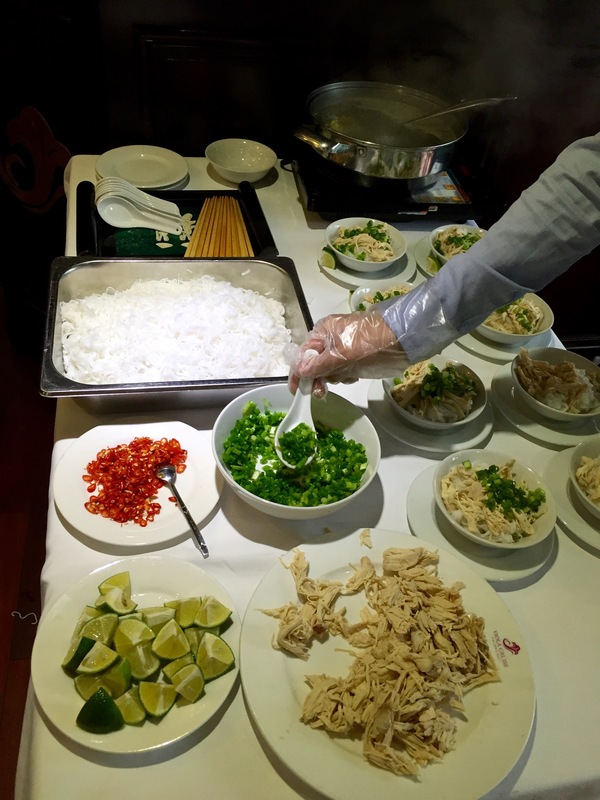 When we arrived on board, they had already prepared a full lunch buffet for us, which included a seafood hotpot, chicken curry, chicken and vegetable stir fry, French fries, fried fish, beef skewers, and fried chicken. 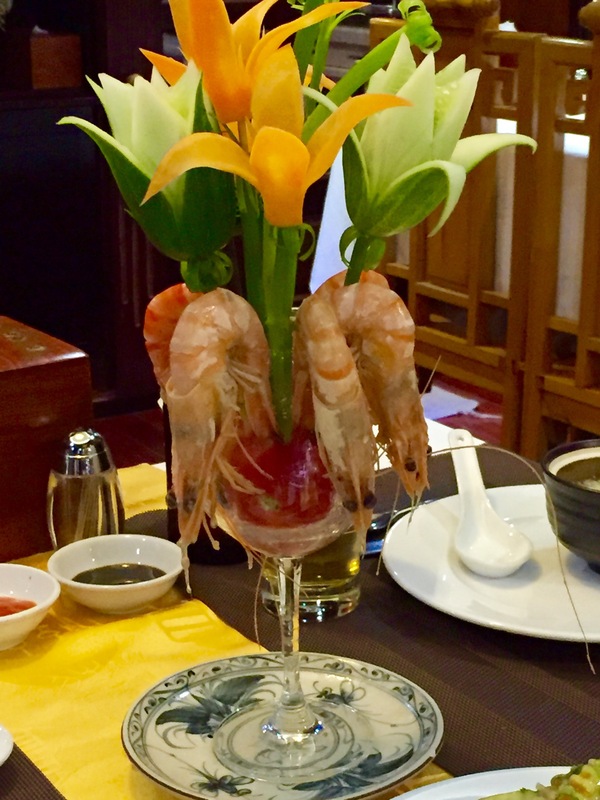 It was all pretty tasty, particularly the seafood hot pot, the lemongrass flavor in the broth was excellent. After lunch we were able to check into our rooms. We had a queen size bed, and we were surprised at how clean the cabin and bathroom was. We also had a small balcony, which was nice to sit outside and enjoy the breeze and view. The boat is equipped with wifi, but keep in mind that it doesn’t always work, especially as you get further out into the bay. I had cell phone service most the time, but it definitely was spotty as well and unreliable. I guess it is better to sit back and relax and disconnect yourself from outside distractions, right?! 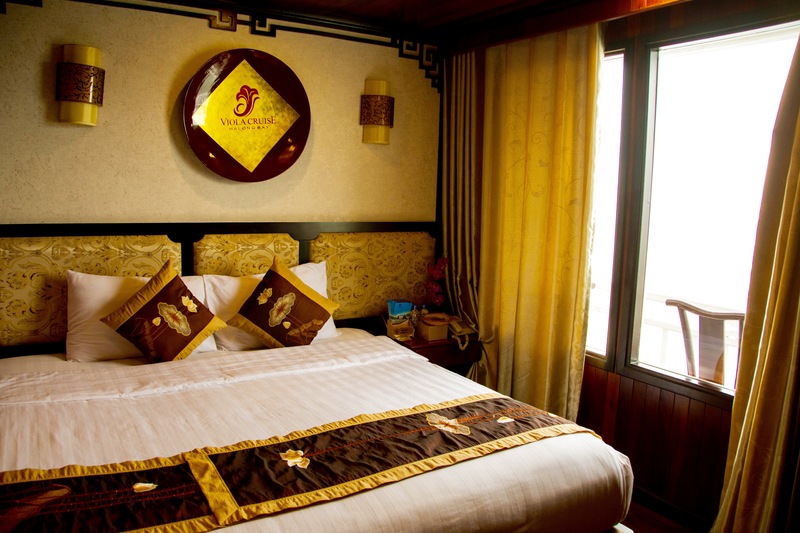 Ha Long Bay is 1,552 square kilometers and about 700 square kilometers are considered a UNESCO World Heritage site. 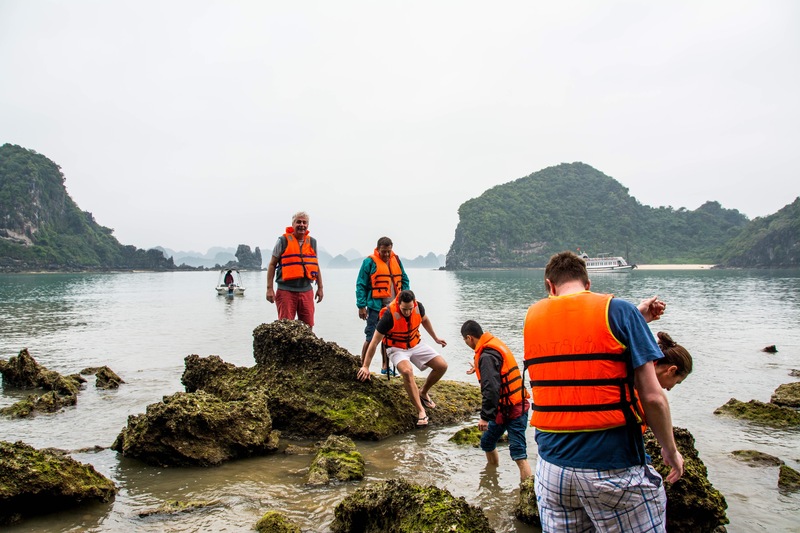 The Ha Long Bay management, in addition to limiting the number of vessels that are permitted to be in the bay, also limits the routes that the tour operators can take. They even assign designated areas for boats to anchor at night. 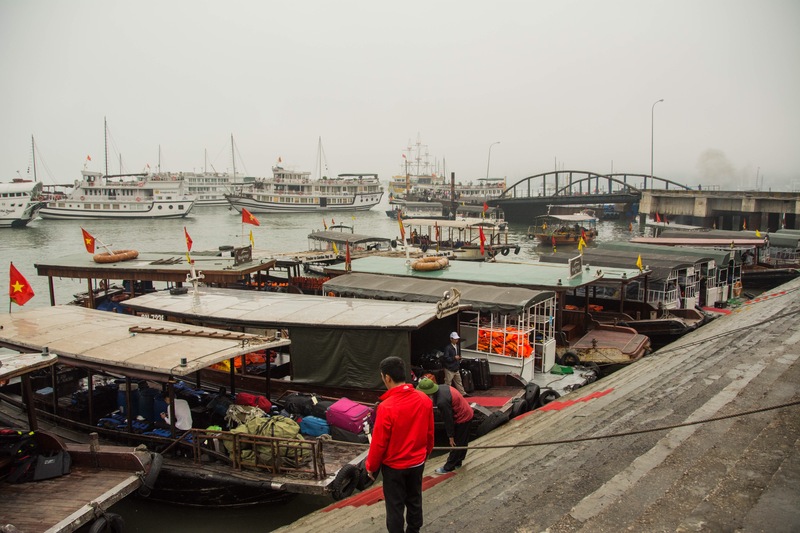 After lunch it was off to our first location, we were taken to a floating fishing village. The village was not currently in operation, as the fishermen had to leave due to the requirements to obtain UNESCO certification. We were told that the fishermen were offered a house on the mainland and offered work on larger fishing vessels. We were put onto a saipan boat to tour around the fishing village. 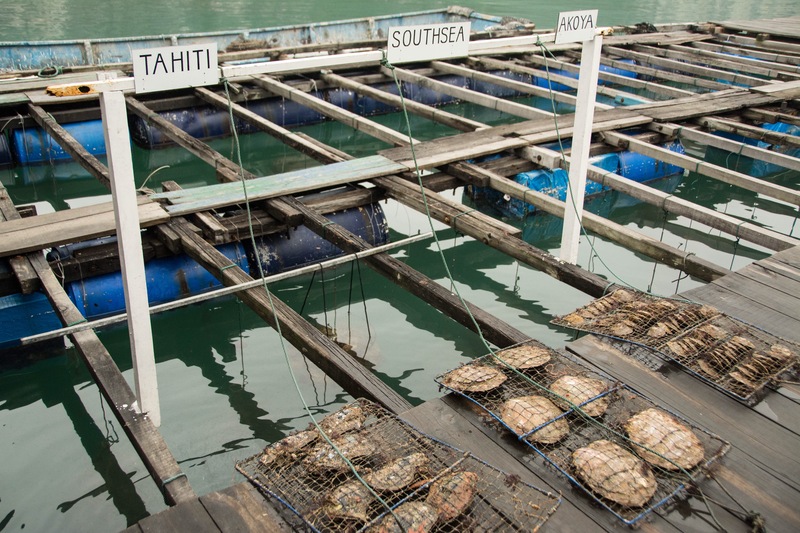 After our tour of the village, we were shown a pearl farm, and how they grow the different oysters. I was amazed how big the Southsea oysters were! Look at their size! The majority of the pearls grown here were from Akoya oysters. We were told that they implant a small starter ball made of shell along with a piece of the mantle and that is how they start off the process. Then after several years, you get a pearl! 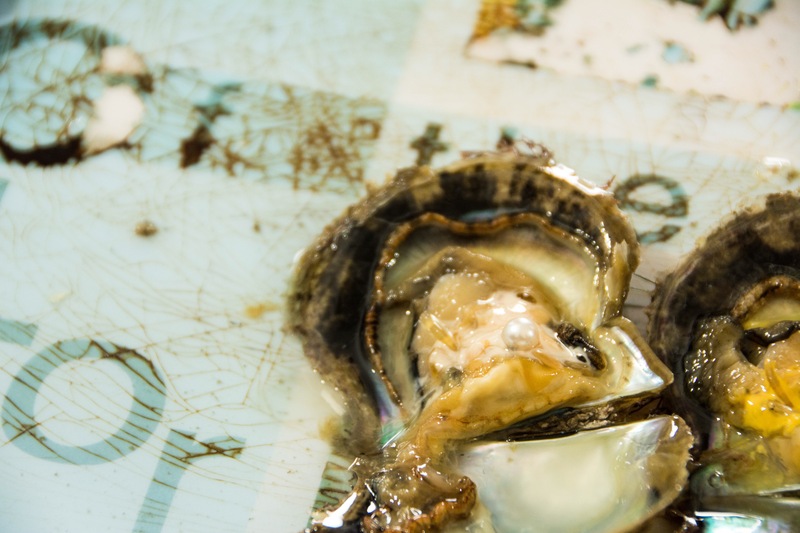 They opened up one of the Akoya oysters for us to see, and we found this lovely little pearl inside. Too bad, the pearl had a blemish on it. They said most likely it would be ground into pearl powder since the pearl was not jewelry grade. During our cruise, we were pretty disappointed with the weather, as it was very foggy (even though it is normal for the March timeframe) and it had been sprinkling off and on the whole time we were there. We decided to push onwards and went with the guide to a small beach where there was kayaking and beach volleyball. The morning after Tai Chi and breakfast, the group that stayed 3 days/2 nights took a smaller day boat out for the day. 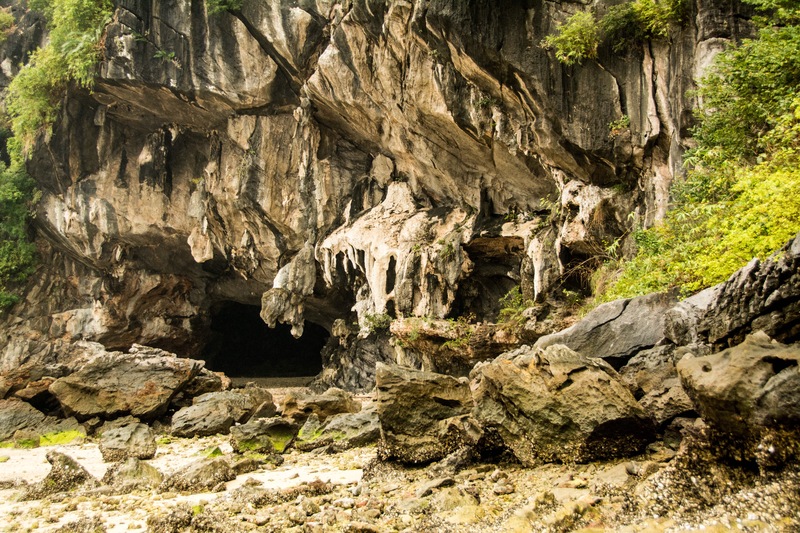 Our first stop of the day was to limestone caves known as Thay cave. 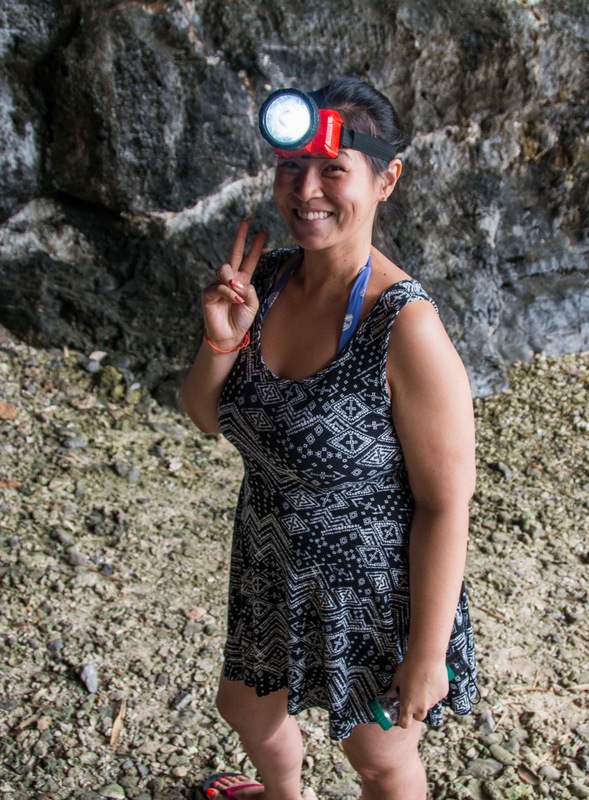 Because of really low tide, we had to walk around the island a little bit and climb over some rocks. We were provided flashlights and headlamps if we wanted them. Here’s the group ready to go in! After the caves, we went back to the day boat and had a BBQ lunch. It was delicious. We were served, potato salad, BBQ shrimp skewers, fried rice, marinated chicken wings, BBQ chicken and pork, squid skewers, veggie skewers, whole fish, and fresh watermelon. Afterward, we hopped in a kayak to a small beach area. We explored the beach a little and then looked for clams for dinner! The next day, we woke up and had breakfast, and then checked out of our rooms. We were all so excited that it was the first time we had seen the sun the whole time we were there. 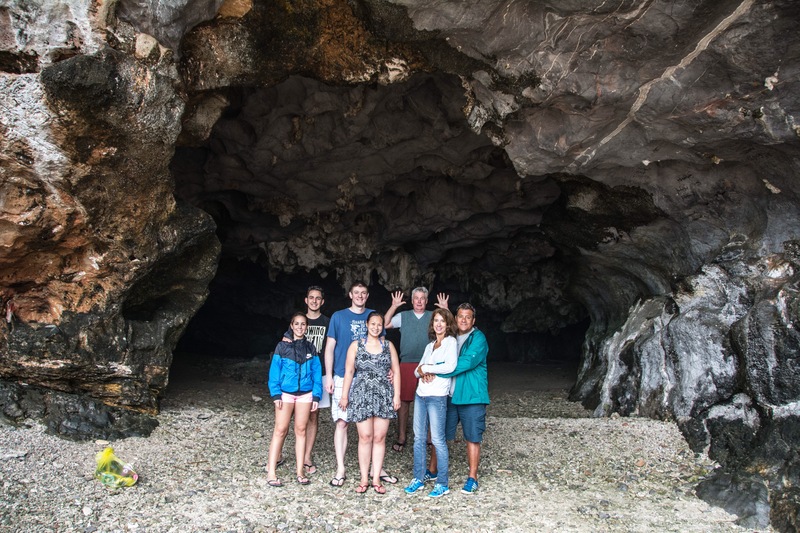 We then headed out to visit Thien Canh Son cave. 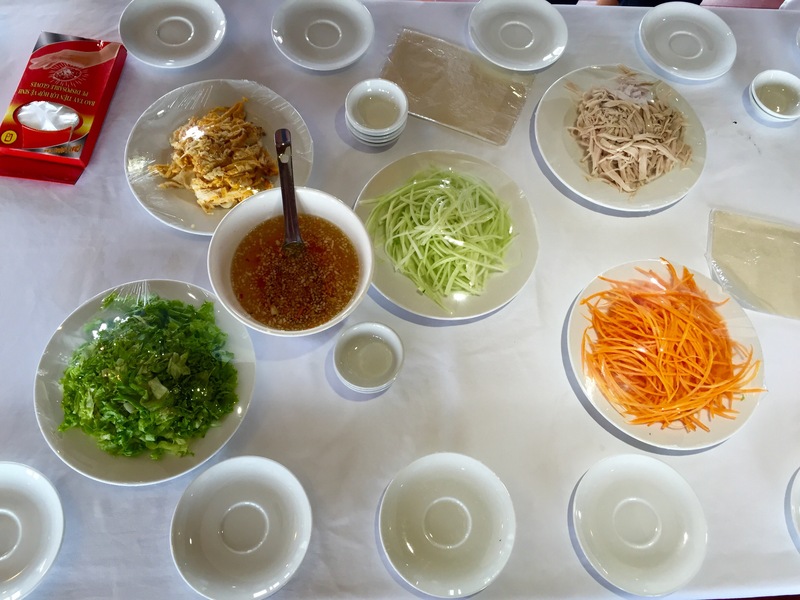 When we returned to the boat after our excursion, were given a cooking class/demonstration on how to make garnishes and also some really yummy fresh spring rolls. Overall, the Viola Cruise was excellent. 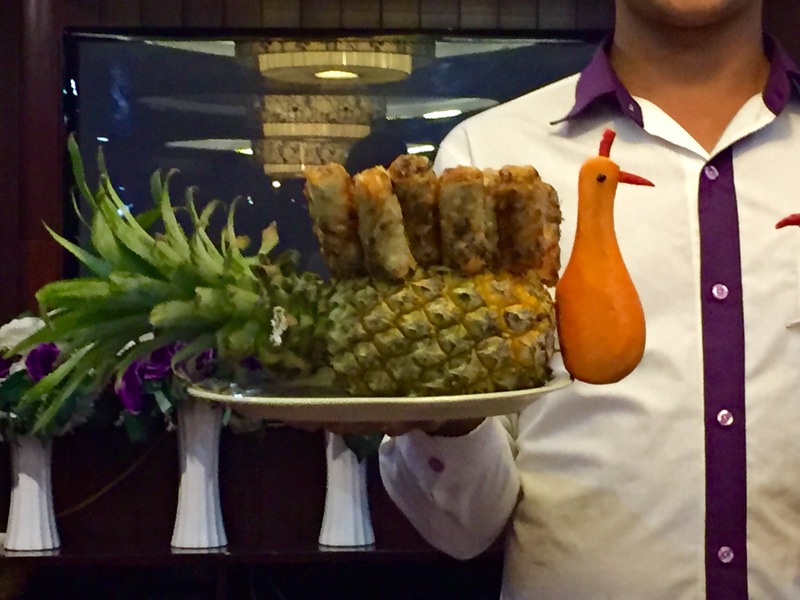 The staff was friendly, the food was delicious and they really did their best to show us a great time. 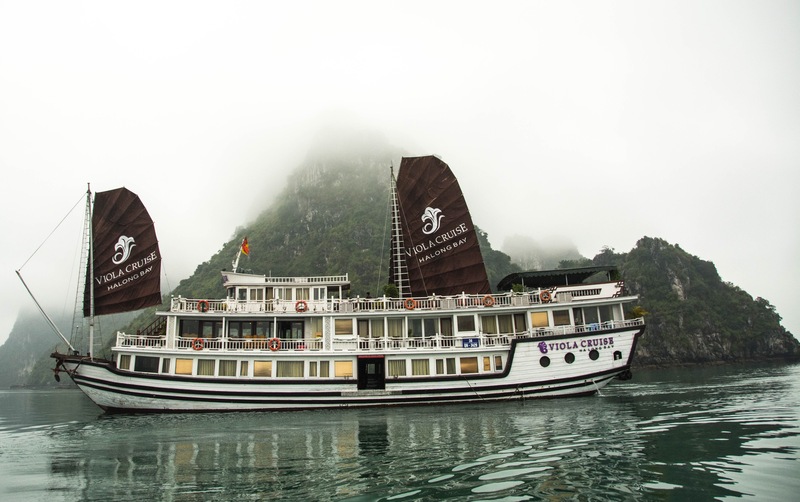 I would definitely recommend Viola Cruise for any of those thinking about visiting Ha Long Bay.